Allan Clelland-Goddard ” Rolling to Success”! England has a history of giving birth to great musical talent and this boy is no exception! 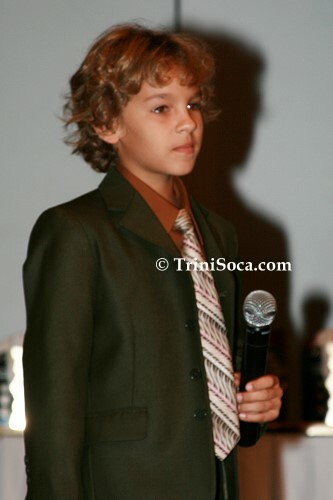 Allan, son of Edward and Deborah, now lives in the small country of Trinidad and Tobago. While the country may be small, there is nothing small about the talent that young Allan has demonstrated! Some children show talent at a very young age and Allan is a prime example of this. At only three years of age he would run and jump around the room singing (rollin, rollin, rollin), the thyme song from the old TV series Rawhide. 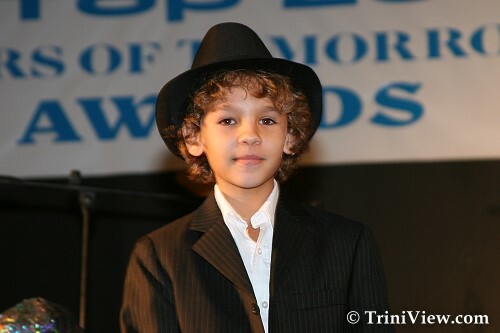 At 5, he began taking piano lessons which he still thoroughly enjoys, and in addition plays the tenor steelpan. (The steelpan is the national instrument of Trinidad & Tobago and is a big part of the culture there). which they were producing. He was the only solo artist on the cd so it was quite an honor! Allan receiving many rave reviews. In 2008, Allan continued performing on stage as “Kurt” in the “Sound of Music“ along with his twin sisters Kiona and Genevieve. Then just this year Allan won the part of ‘Chip’ in ‘The Beauty and the Beast‘. 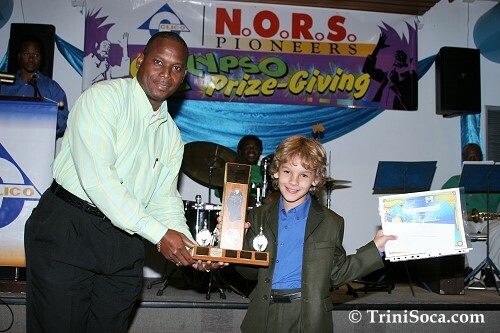 Allan has been singing calypsos in national competition since he was 6 years old. ‘Top Twenty Stars of Tomorrow‘. Aside from singing and playing music, Allan feels a lot of compassion for underprivileged children especially ‘street children’ and hopes one day to be able to do more to help them. He is very happy and excited that his song ‘Street Children’ is gaining in popularity on YouTube and is getting a wider global audience with hopes it will touch the hearts of people who are in a position to help these children. Today, Allan attends Secondary school at St. Mary’s College in the capital city of Trinidad, Port of Spain. He is an ‘A’ student and especially enjoys Spanish, French and Science. He is a popular student with many friends. He also enjoys debate and has competed in the school’s debating contest. It is noteworthy to mention that his newly formed team nearly captured the title in the last contest and set records for being the youngest team to achieve such a winning record. Allan shows diversity with his interest excelling beyond music. He enjoys football and participates in a junior team called ‘Skye’. His favorite team is Manchester United and remains a true fan. Allan’s goal is to be a famous entertainer, and has shown great zeal and much discipline in his effort to improve his vocal skills. This is a young man that you will need to keep your eyes on in the future. There is no doubt, that Allan will continue to be rollin, rollin, rollin.